Sparkfactor originally worked with Flying Trailer Music when they were known as Perfect Choice Music, about six years ago. So when they re-branded as Flying Trailer Music and they needed their PHP website to speak to their new identity, they came to us. 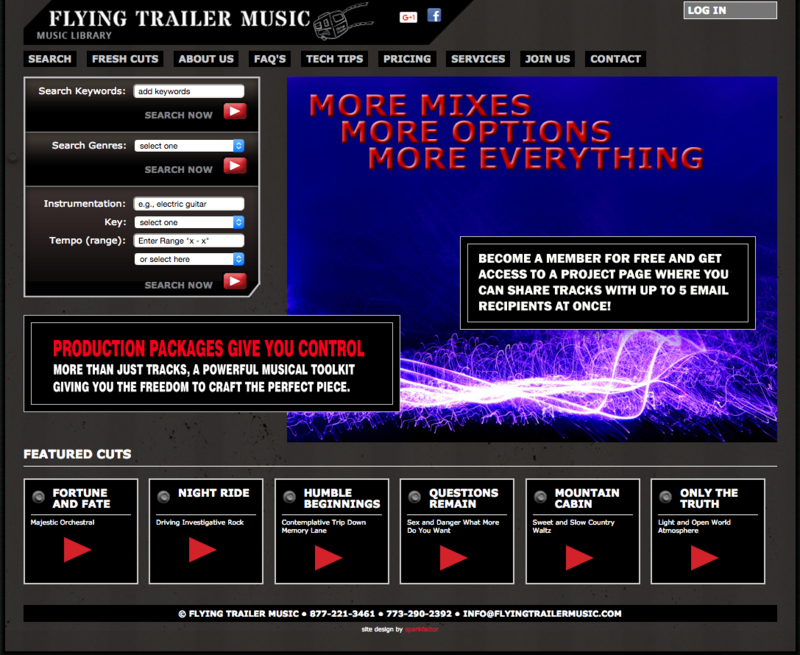 We made sure that all of the logos, text, graphics, and anything website related now referred to Flying Trailer Music. The music collection site functions as a standalone music reference library, with the ability for potential clients to browse the collection and get in touch directly when they’ve found something that would work for their television or radio show or any other project.